Department of Health Recruitment Notification 2011 has been published. 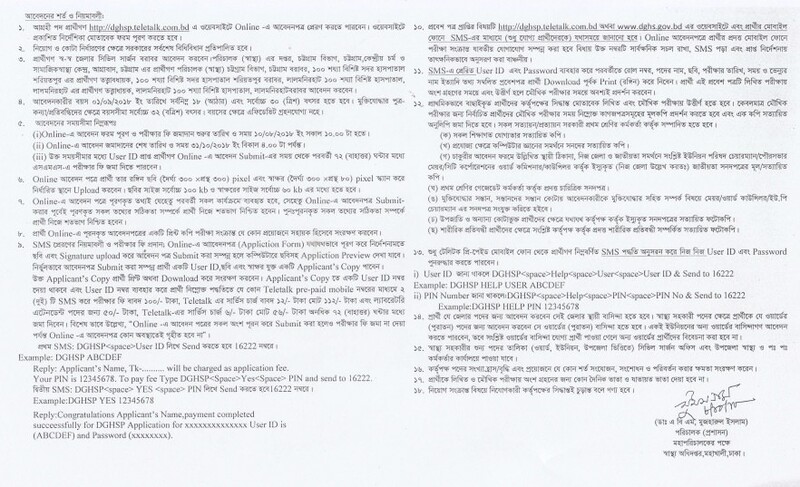 Authorities of Bangladesh Department of Health published this circular on various online magazines, Bangladesh e papers or their web portal. 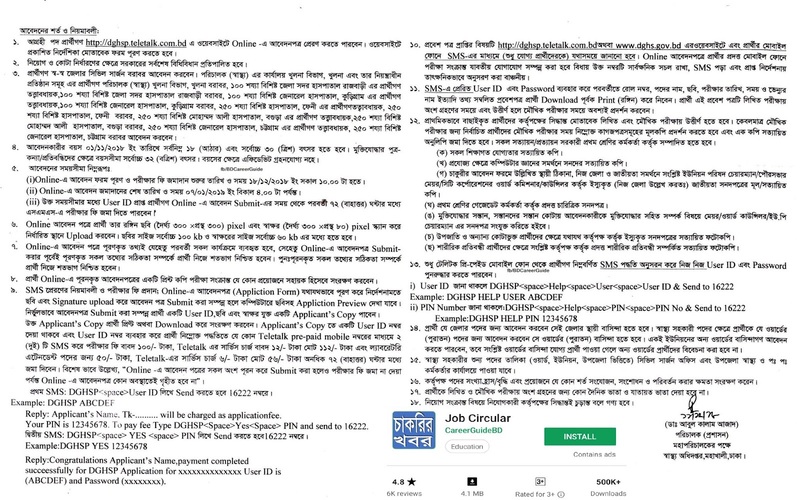 A government service recruitment notice of the country’s health and family welfare ministry. To apply the new recruitment notice to the Health Department before the specific date. We have all the information related to the job together in front of the prospective candidates. The Health Department under the Ministry of Health and Family Welfare has recently published the circular for recruitment of 1,252 posts. You can join in accordance with the circular to fulfill the eligibility criteria. You have to make online job application online. Educational Qualification: Diploma Degree in Pharmacy from a recognized Institute. Other qualifications: Speed of words in Word Processing, Data Entry, Taiping, 25 and 30 respectively in Bangla and English respectively. Application deadline: Apply online for 31 October 2018. 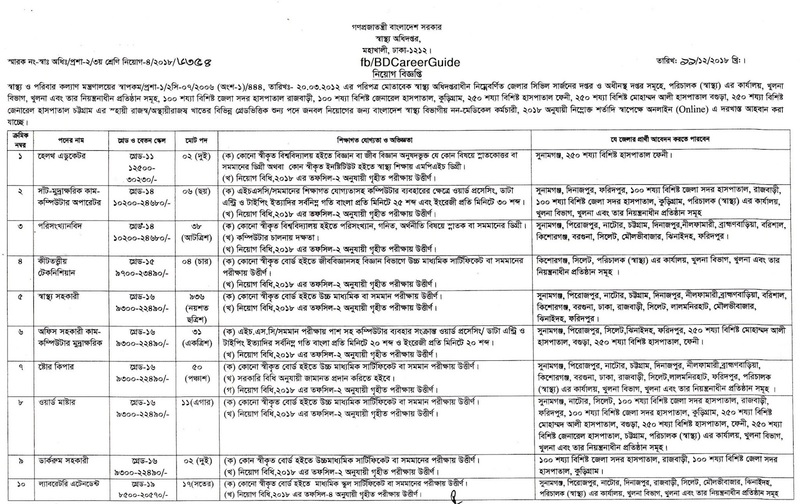 To apply online, please visit http://dghsp.teletalk.com.bd. The process of completing the online application form and submitting the examination fee has started from 8th October. And the last time to submit the application is October 4 at 4pm. The application fee will be submitted in the next 72 hours from the time of application. As a picture attachment, scanning 300 by 300 pixels and 300 by 80 pixels signature will be uploaded. A copy of the application should be printed and downloaded and saved. For Teletalk prepaid mobile SMS, the amount of the fee for the laboratory attendant will be 56 rupees and for all other posts, the fee will be Rs 112 for the application fee. The Directorate of Healthcare 2018 has been converted into an image file, so that everyone can easily read and download this work round. Looking for the Department of Healthcare, youth, enthusiasts, active and honest people. If you think that you are perfect to apply this work, you can submit your application. DGHS, the Director General of Health Services, is the most important organization. Directorate of Health Services DGHS publishes an interesting job notification. Anyone can take this opportunity. This job is very important for round unemployed people.